Where: 998 Shamrock Drive Barnesville, OH 43713 - We'll be meeting on first floor. 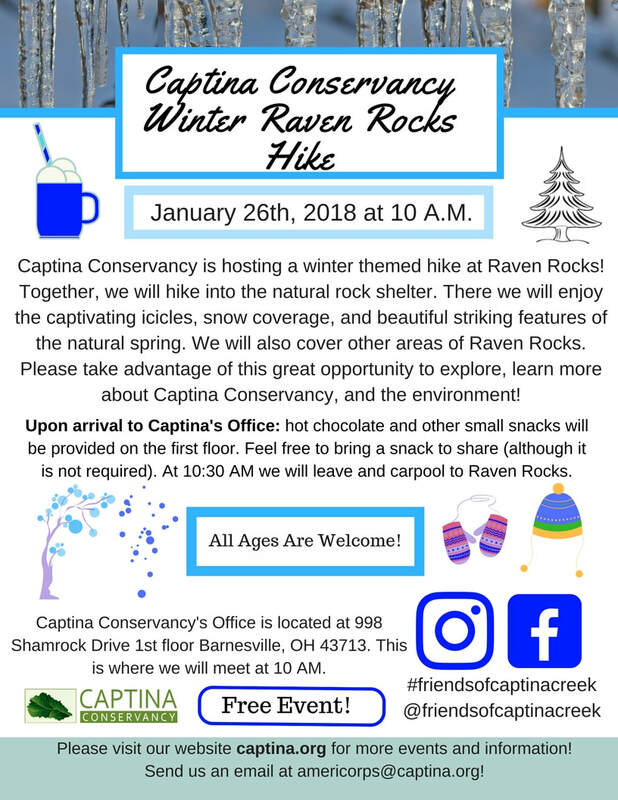 Please join us at the Stillwater Science Center for snacks, hot chocolate and a winter hike at Raven Rocks. We will be going to the very popular and pleasant ravine (featuring the icy spring)... and some other exclusive and unique... but less known areas. The idea is to show places that not many people have gone. 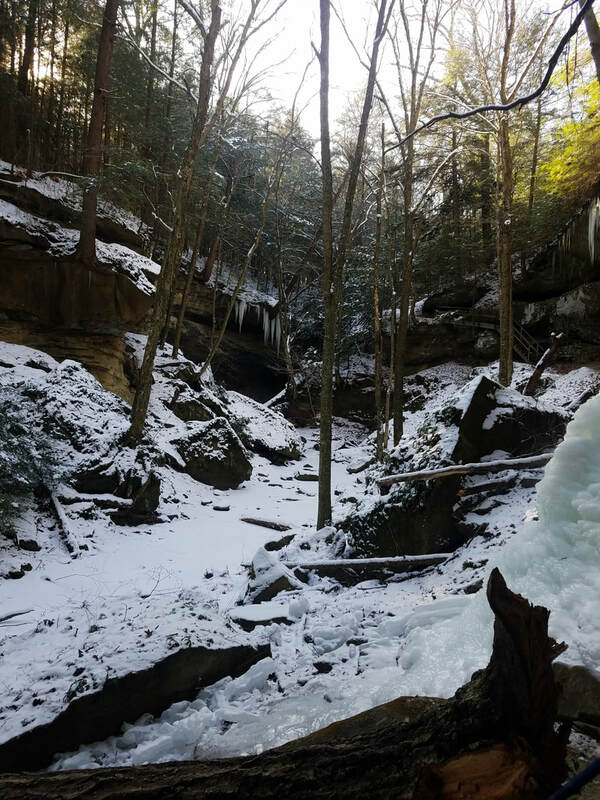 ​Raven Rocks is 1,268 acres of rolling land in Southeastern Ohio. Much of the area is wooded, and 1,015 acres has recently been placed under a conservation easement with Captina Conservancy. Raven Rocks only has one area open to the public. The other regions of Raven Rocks are only accessible with permission. Please take this beautiful and great opportunity to explore even further into Raven Rocks and maybe see what you've never seen before! Together we will carpool to Raven Rocks from the Stillwater Science Center. We will leave and carpool to Raven Rocks at 10:30. If it's convenient for you: please let us know if you'd like to meet (11:00 AM) at Raven Rocks instead. Upon arrival to the science center, there will be snacks and hot chocolate (1st floor). Please feel free to contribute a tasty snack. It will be much appreciated! Dairy free, vegetarian and gluten-free options will be provided. There is a microwave, very tiny refrigerator and small kitchen area (with only a sink) for use as needed. 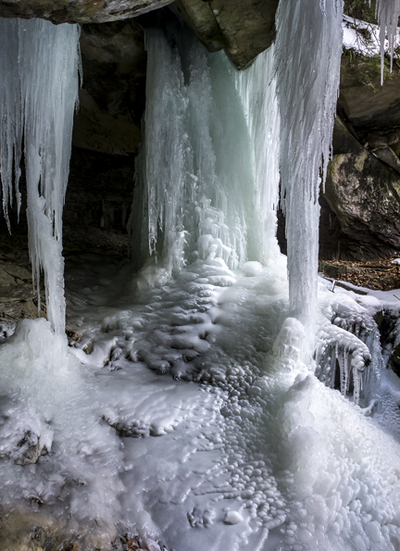 There will be quite a bit of hiking and an opportunity to get into the very frozen Little Piney Creek. The landscape is very hilly, rock-covered, rugged and maybe a bit tricky to climb for some. We will be sticking to a designated trail, but it is encouraged to do further off-trail exploration for this event only. Please come and proceed at your own risk. 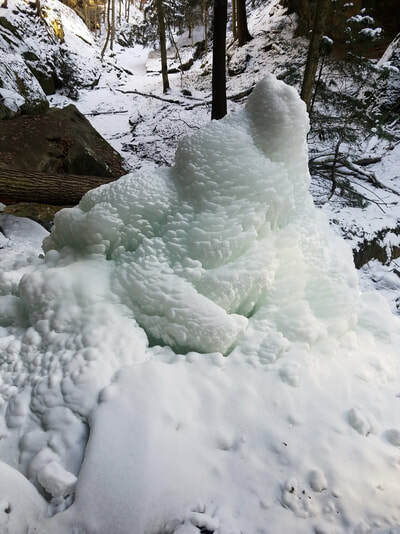 The winter weather, ice, and snow do provide a challenge. Walking sticks are very helpful in these conditions. Richard Sidwell (Executive Director of Captina Conservancy) and Destiny Langdon (AmeriCorps Volunteer) will highlight some fantastic striking environmental features and probably tell a story or two. Raven Rocks has a fascinating, rich and long history. Together we will all be talking about conservation easements and our possible future hardwood native tree planting project. We will highlight some locations that may be coming planting areas. Yes, I hope to attend! Building an effective organization that can carry out its mission for generations to come. Generating a growing group of members/supporters/volunteers to sustain the work. Educating the public about the value of the watershed and thus the need to protect it; while helping them understand how to as well. Presenting our mission to landowners; informing them of the possible benefits of agricultural and/or conservation easements. 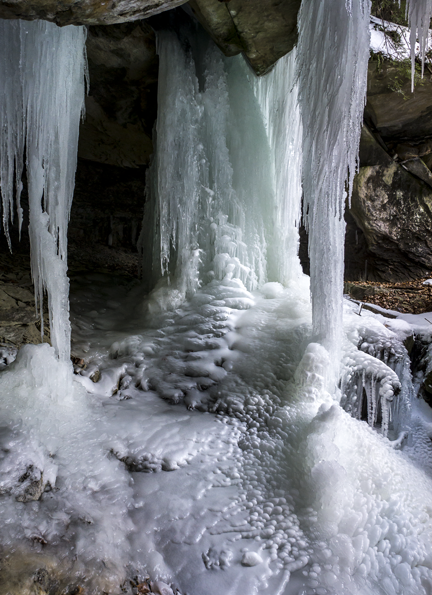 Dogs are welcome at Raven Rocks but please consider using a leash/harness. Also, doggy bags for easy clean up. Image and flyer (above) by Destiny Langdon. Video (above) provided by Larry Podsobinski. This event is going to be highlighted as Zero Waste. This means we will simply keep trash or, waste production in mind by not using disposable plasticware, disposable plates/bowls and we will recycle anything from the event. There will be reusable plates, silverware and other items provided. The conservancy will take responsibility of cleaning the items after the event. 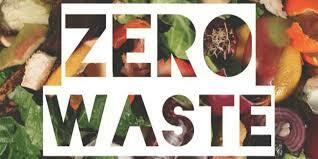 Zero Waste image was provided by Eventbrite. There is no cost for this event but it is suggested to donate. All donations are greatly appreciated, will be acknowledged with a thank you letter and receipt. Captina Conservancy is a 501 (c)(3) not-for-profit, charitable organization. Your gift is tax-deductible as permitted by law. All ages and people are welcome! ​Please email americorps@captina.org for any questions or, concerns.